A perfect blend for the adventurous tea drinker with a sweet tooth, our caramel black tea is both decadent and rich. 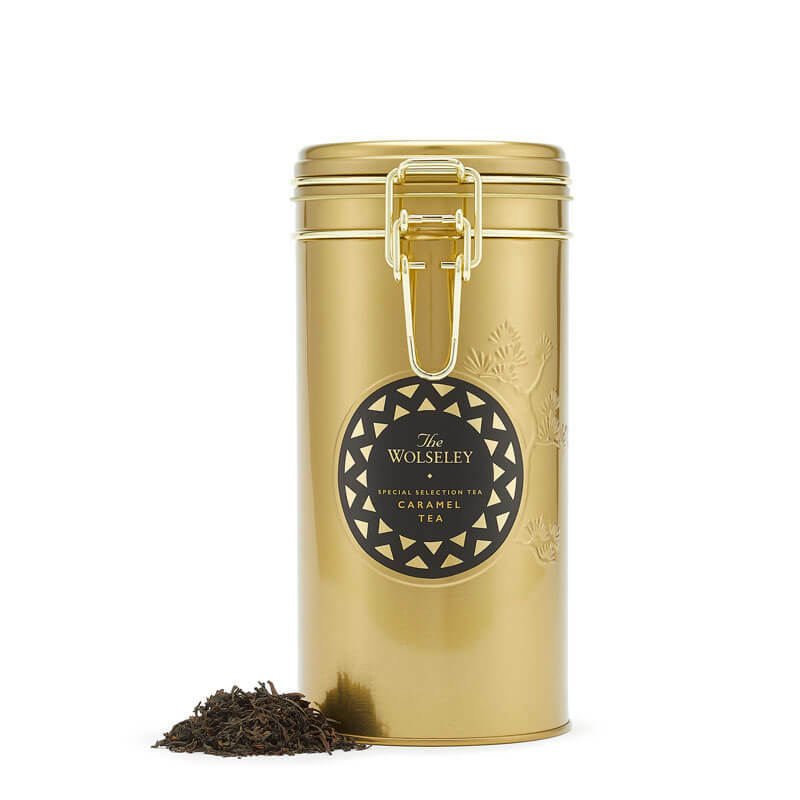 The velvety blend of Nilgiri black loose leaf teas, expertly combined with natural caramel, is produced by a small NGO-run co-operative in the Sahyadri Mountains in Southern India. Here, the traditional tea gardens support works to improve the lives of the poor and marginalised, along with fighting climate change in rural India. 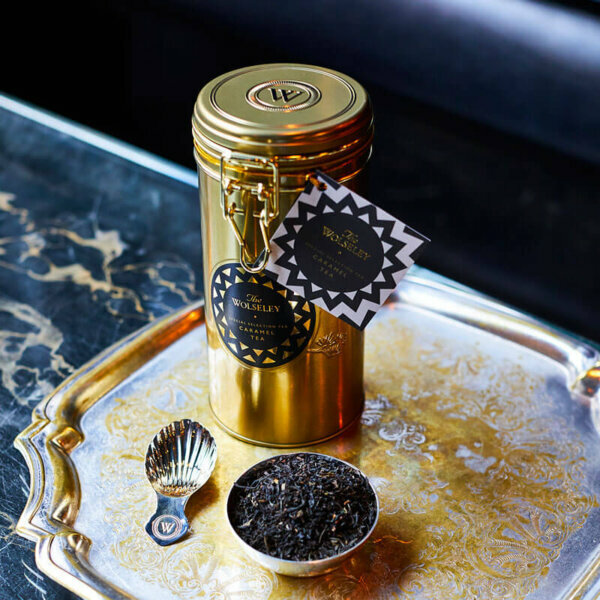 Our high-grade, traditional tea is bought fresh each season, the leaves are carefully handpicked and handcrafted to tease out the sweetest notes and most complex flavours. To keep the tea fresh, it is offered inside a smart re-usable gold tea tin with elegant Chinoiserie detailing.